After some months of lurking and reading this fascinating forum, I thought I'd better join up so I could introduce myself properly! My name is Orien, and I'm a craftsman (knife and tool maker, primarily) from southern NM, USA. This is my first successful crossbow...basically a toy . Wooden (elm) prod of some 70# weight, Tiller of desertwillow (Chilopsis linearis, a local tree in the Catalpa family), wooden roller nut with steel sear and tickler trigger. It's awesome fun to shoot, with probably enough power to hunt small game with...of course I immediately decided to make another with much, much higher draw weight , which is now in process. I could not have gotten this far with xbow building without the help of this fine forum, so...thanks to all for sharing projects and info! I look forward to sharing my work with y'all, as well. Nice first bow. And all wood! Congrats. I love the Desert Willow tiller. How long is that prod? You could hunt with that, but remember that a 70# crossbow won't have the impact of a 70# vertical bow. The prod is 36" end to end. 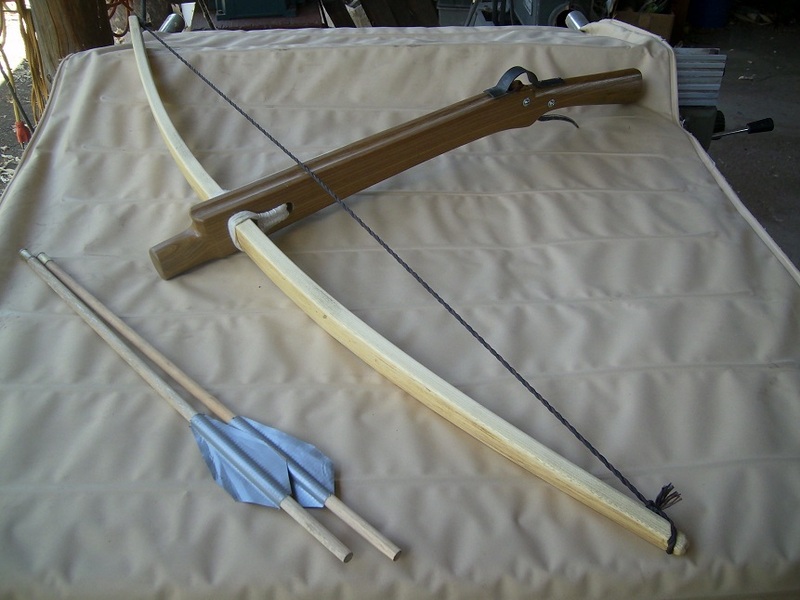 I figured I'd have the best chance of success making a wooden prod, since I'd made wooden bows before...actually it was quite hard to get a high enough draw weight, and I blew up one prod before getting this one to work. 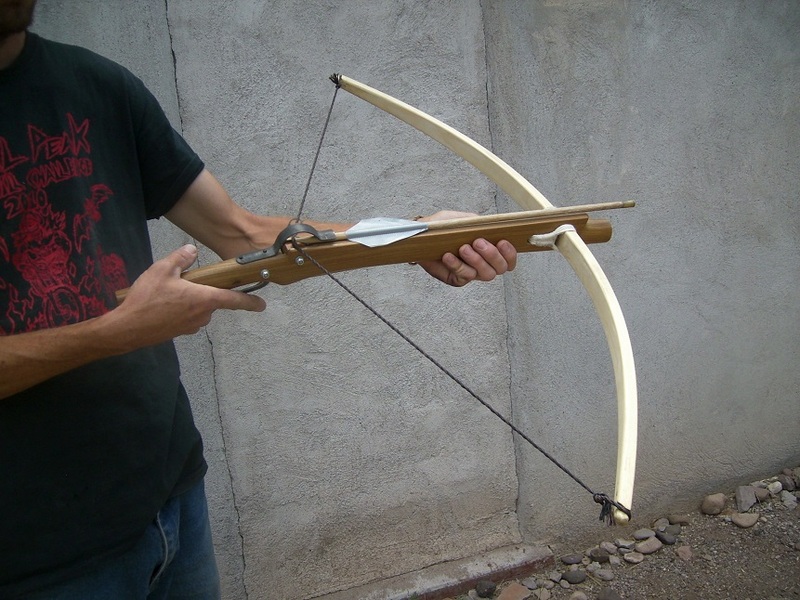 I can tell it has a lot less power than a handbow of the same weight would, but the bolts are fairly light so they fly pretty fast. A rabbit at close range would be in trouble, I think.